Pere Marquette Union Station as it looked when newly constructed in 1904. Charles Curtiss, president of the Great Lakes Center Foundation, non-profit developer of the depot renovation project. Should the City of Bay City accept a $700,000 grant for restoration of the historic 102-year-old Pere Marquette Depot? If so, what are the City's responsibilities under the grant? Will the City move ahead with the crucial element ina $3.8 million project that will infuse downtown with a sparkling new attraction? Those are the key questions on the docket for two meetings at City Hall Monday night: the finance and policy committee and an executive session of the City Commission. Planners envision a back-to-the-past depot as a magnet for visitors, an office building for community groups including the Bay Area Community Foundation and the Bay Area Convention and Visitors Bureau, and a welcome and transit center for tour buses. One hopeful scenario by the Bay Area Convention and Visitors Bureau has 5-600 tour buses per year shuttling in and out of the old depot, taking out-of-towners on guided, narrated tours past old houses, buildings, cemeteries, and waterfront attractions. What better focal point for historic tours than a classic 1904 Prairie Style building, linking the 19th century Arts and Crafts movement to the personification of the industrial revolution -- the train depot. In its salad days the depot was called Union Station. Lumberjacks arrived from the woods on trains in May when the cutting season was over. 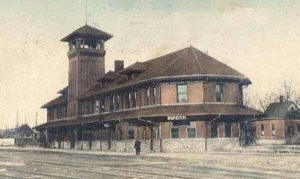 The depot was the last of five train stations in Bay City. The information to come out Monday night will lead to a Commission decision Feb. 6 on whether the city will proceed with its part of the project. An opinion by City Attorney Neil Wackerly regarding the depot is scheduled to be discussed at a closed executive session. Charles Curtiss, president of the non-profit Great Lakes Foundation that is planning the depot restoration is slated to make a presentation to the finance/policy committee. Mr. Curtiss may announce that the $3.8 million funding goal has been reached to complete the renovation of the 9,000 square foot historic structure on Boutell Place downtown. That is, if the city accepts the $706,872 in state transportation grant funds. The Rotary Club of Bay City has already committed substantial funding for an estimated $200,000 Rotary Park that would be a landscaped entrance to the depot off Adams Street. Funding also includes about $1.8 million from community sources, more than $1 million each from Midland foundations and federal and state sources and donations from individuals. A new funding wrinkle is the New Markets tax credits, a somewhat complicated funding mechanism in which private investors receive credits on their income taxes, for which the foundation needs a decision by Feb. 15. If the City says go, then bids will be sought probably in March or April and a groundbreaking in May will lead to completion of the project in 12-15 months, just in time for the 2007 summer-fall tourist season. Architect is Quinn Evans of Ann Arbor, represented by Ilene Tyler, daughter of Sam Rogers of Bay City. The project will be an appropriate confirmation of the importance of the site that once anchored one of America's first urban shopping centers. Predating the mall, the center was developed in 1949 by Henry Briggs of the New York Central Railroad who was married to Peggy Sharpe, daughter of Bay City Supreme Court Justice Edward M. Sharpe. The innovative concept kept storefronts on two streets, Fifth and Adams, with parking and alternate store entrances at the back. 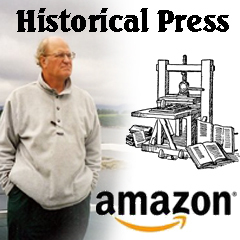 The Bay City development received extensive national news media coverage at the time. Two supermarkets, a five and dime store, shoe stores, loan offices, pet shop and other enterprises gradually faded through the years until finally torn down in the 1980s. The depot last saw buses come and go in 1969 and housed the Rail Development Company and other offices until perhaps 20 years ago.